Top Doctor Class of 2018. Metropolitan ENT & Facial Plastic Surgery is now accepting Same Day Appointments! For a same day appointment, please call the phone number listed below. 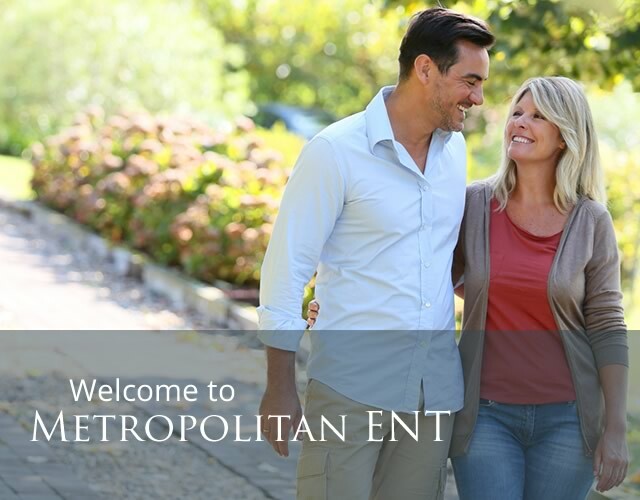 Metropolitan ENT & Facial Plastic Surgery is a group of Board Certified Otolaryngologists who are dedicated to bringing their expertise in the field of ear, nose and throat disorders as well as specializing in surgical procedures of the head and neck, and facial cosmetic surgery. We're Committed To Your Health! Here at Metropolitan ENT all of our Otolaryngologists are trained in Facial Plastic Surgery. We provide a wide variety of services in facial plastic surgery for reconstructive and cosmetic purposes. Many of the procedures can even be performed right here in the comfort and privacy of our own office! We offer state of the art procedures and a wide range of services including sinus care, allergy, audiology, snoring disorders and cosmetic surgical and non surgical services. We welcome you and appreciate the opportunity to provide you with information about our practice. If you have specific questions, please feel free to contact us. To schedule an appointment with Dr. Courtney Raizman, Dr. Mohammed Tarek Orfaly, Dr. Ravi Swamy, or Dr. Richard Comstock, please click the button below! Is your nose constantly blocked? Metropolitan ENT is proud to offer a new technology developed by our very own Dr. Saidi. The absorbable Latera implant is a minimally invasive treatment to open your nasal passages and help you breathe better. The implant lasts up to 18 months and has been shown to help patients breathe better and sleep better. Contact us today to schedule an appointment. You can breathe ease with Metropolitan ENT. The Sino-Nasal Outcome Test (SNOT) questionnaire is intended to determine how your chronic rhinosinusitis (CRS) has affected your health status. A valid measure of rhinosinusitis health status and quality of life is required for the complete assessment of treatment effectiveness. This survey will measure the physical impairments, functional limitations, disabilities, and societal limitations caused by your sinus disease. Please download, print and bring the Sino-Nasal Outcome Test (SNOT) to your appointment. Due to rising cost of allergen extracts and supplies, we must raise the cost to you so we can continue to provide the quality and service you’ve come to expect.